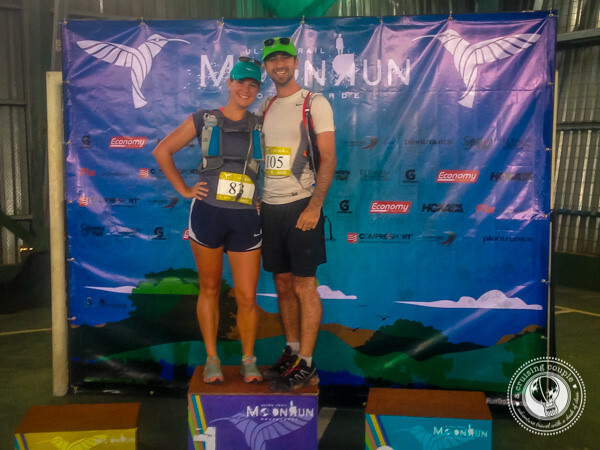 Learn all about our second marathon in Costa Rica: The Renowned Moon Run! 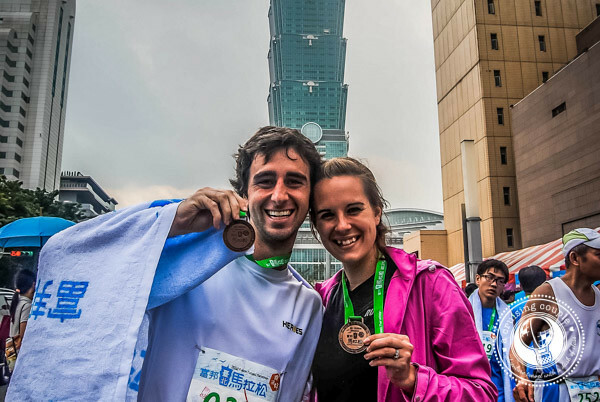 If you’ve been following along with us since our days of teaching English in Taiwan, you might remember that a few years ago we ran our first marathon in Taipei! As two non-runners (when we started training I could barely finish three miles!) this was a massive accomplishment. Well, it might have taken us almost exactly four years, but we finally did it! We managed to survive another marathon. In fact, we survived an ultra-marathon—but only because we got lost and ended up running a few extra kilometers. Don’t worry; we get to that part below. This was by far the most difficult physical challenge of our lives. 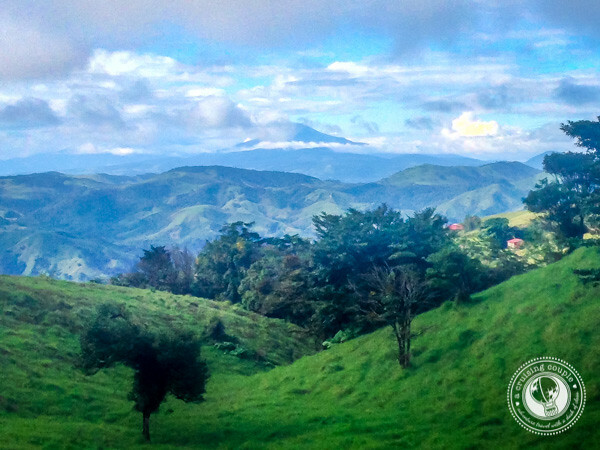 It was also one of the most beautiful, offering up a chance to soak in some of the most spectacular scenery we’ve ever experienced in Costa Rica. 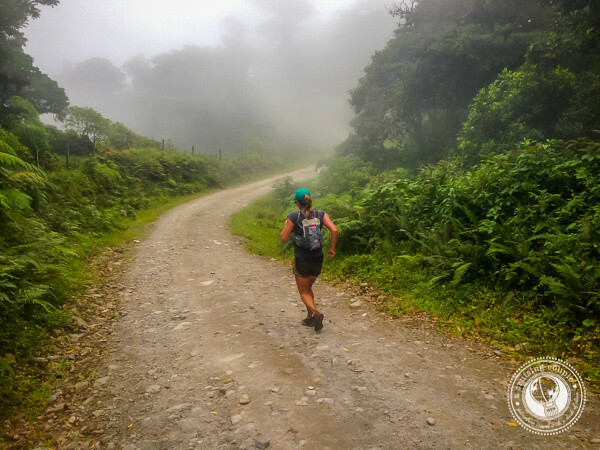 The Moon Run is not only a marathon but also a trail race through dense jungle and remote mountains of Costa Rica. We clambered through shin-deep mud, crossed a hanging bridge, trekked up mountains, and waded through rivers. 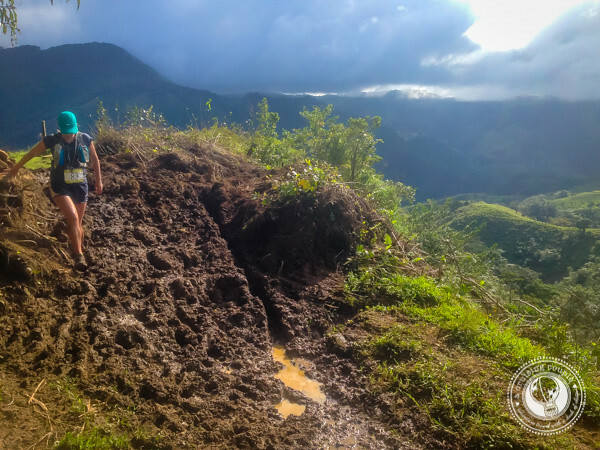 While we had made a point to train on hills and trails, nothing could have prepared us for the truly off-the-beaten-track experience that is the Moon Run. What Is The Moon Run? 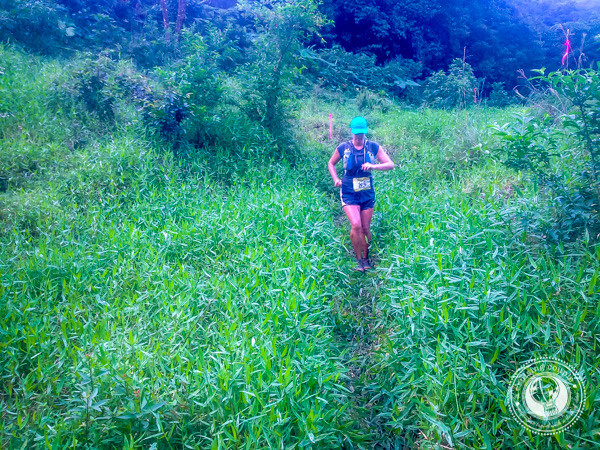 The Moon Run is one of the most popular trail races in Costa Rica. With an ultra-marathon, marathon, half-marathon and sprint distance, the race attracts runners of all backgrounds and experiences. 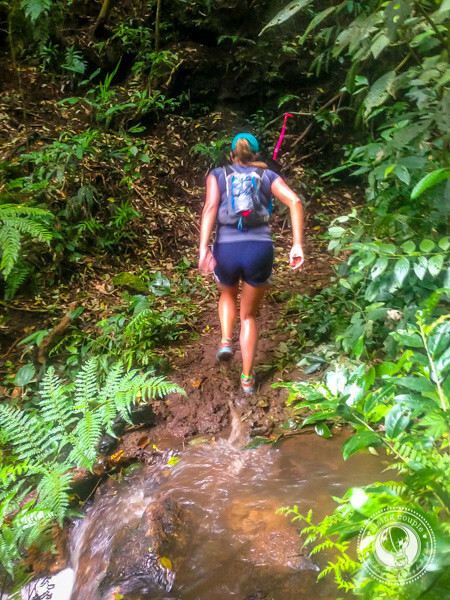 The Moon Run takes place in Monteverde, with some of the route passing through parts of the Monteverde Cloud Forest that are otherwise blocked off from visitors. Many runners will finish the race before dark. However, if you’re like us and not a complete speed demon, then you’ll be finishing your race at night—hopefully beneath a clear sky and shining moon. We were fortunate enough to have a stunning evening with hundreds of stars shimmering in the sky above. It made the pain of running for hours and hours just slightly more bearable as we neared the finish line. There are four aid stations throughout the race. You’ll find all the basics: water, fruit, cookies and Powerade. You’ll absolutely need a pack to get you from station to station. (We’ve included the recommended gear we used below!) You’re also required to carry glow sticks, a headlamp, a waterproof jacket and a reflective blanket. What Is The Moon Run Really Like? First off, we loved that the Moon Run was such a small event. There were only about 50 participants in the marathon. As such, you spread out extremely quickly. We only passed by a handful of other runners throughout the entire day! I’m not sure I would have felt comfortable racing by myself. There were plenty of solo female runners of course, but due to the remoteness and difficulty, I was extremely grateful to have a running buddy by my side. 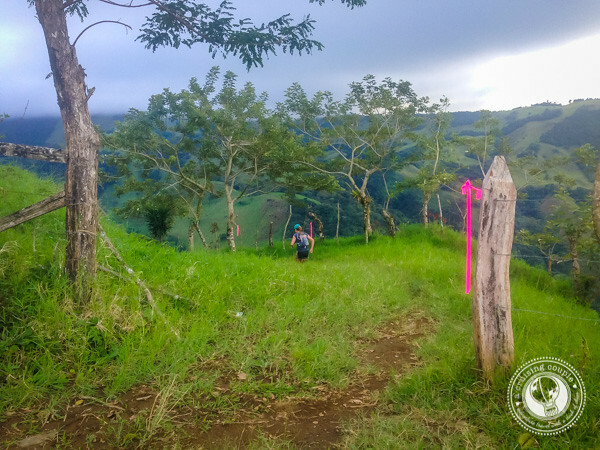 We mentioned the difficulty of the terrain above, but it’s worth pointing out one more time that much of the race is extremely steep and slippery. I completely wiped out multiple times while walking through some of the muddiest sections (and my tailbone is still sore.) On that note, know that you won’t run the entire time. 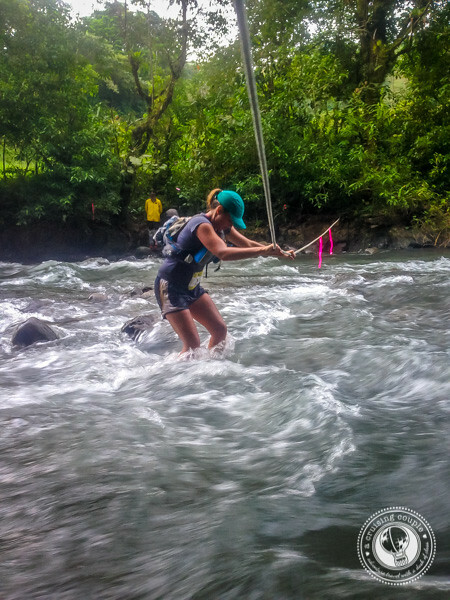 It’s actually impossible because the admins will disqualify anyone caught running on the hanging bridge. At times it felt like we were walking more than we were running. When you’re training for this race, you’ll want to spend most of your runs on mountains and going as off-the-beaten-track as possible to be better prepared. For the most part, we were very impressed by how well the Moon Run was organized. There were pink ribbons along the entirety of the trail so you would know if you were headed in the right direction. Staff organizers drove around at night to check up on people and make sure everyone was on their way to the finish line. Aid stations were well-stocked and staffed. We even received a private orientation in English to ensure we understood the logistics. The thing is, all the trails are marked with the same pink ribbons—no matter which distance you’re participating in. And each distance has a unique route. At one corner, the marathoners were supposed to turn left. But we completely missed that turn, more than likely enjoying the view on the right. We continued down the trail for quite a while, completely confident we were running the right way (we took note of those pink ribbons) and excited to be nearing the end of the race. That was, until we started passing runners going the opposite direction. We knew they were ultra runners, so we thought maybe they had an extra loop to complete before finishing. We were very wrong. Thankfully one woman stopped and convinced us we had to turn around (much to our dismay.) We passed another marathoner on our way back who had also missed the turn, so we have a feeling this was a mistake at least a handful of people made. We’re just thankful we turned around when we did, and at least now we can say we “technically” finished our first ultra-marathon! I tend to be very finicky when it comes to running shoes. If I don’t have the right pair, then I get serious ankle pain. After trying countless brands, I’ve finally found my perfect match with La Sportiva. The La Sportiva Mutant Trail Running Shoes have everything you need for hitting the trails—especially if you’re going to be tackling steep and wet terrain. They’re breathable, have a molded toe cap for breathability, boast excellent traction and are all-around extremely comfortable and supportive. I won’t wear anything else now. These are Dan’s trail running shoes of choice. He isn’t nearly as sensitive as I am, but he loved these and thought they provided an excellent balance of support and traction. If you’re cross training on road runs then hover here for a road shoe option. Some avid runners say your socks are just as important as your running shoes. I’m not experienced enough to know for sure, but I do know that I get far fewer blisters with Swiftwick—and they retain way less moisture. I think I bonded with my pack a bit more than normal runners do. It came along with me on every single training run I did though! This is seriously the best pack out there. It can carry 11 L of volume, has all sorts of easy-access pockets and zippers, a spot for a hydration pack, and two extra bottle carry pouches. Despite all it can carry, it feel surprisingly light and comfortable. When we first started training, I found that no matter what I did pre-run, I kept getting nauseous at the 60-minute mark. But as soon as I started incorporating gels into training, the upset stomach went away and I had way more energy. All the flavors taste pretty good, and compared to the other energy gels I’ve tried, these resonated best with my individual needs. I would recommend trying out a few before committing to a mega box though gels aren’t great for everyone. My favorite flavor was salted caramel. Huma Energy Gels are my second favorite. I packed along a few of their chia gels for some added energy on the race. You’re required to run with a waterproof jacket. 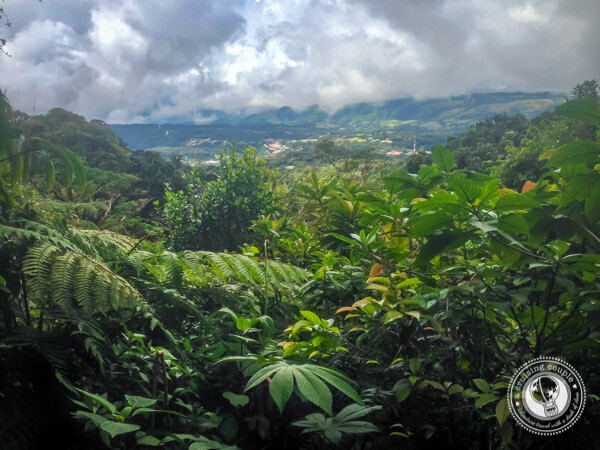 We were so lucky to have a beautiful day, but Monteverde is extremely rainy, so this is one item you won’t want to be without. I would recommend getting one with a hood, reflectors, and something that is ultra-lightweight. I love this all-natural alternative to sports drinks. Skratch Labs is a sports drink powder containing simple sugars, electrolytes, and only real fruit for flavor. The green tea flavor is my favorite. Living in Costa Rica, I add some of this to my water any time I know I’m going to be out in the heat sweating a ton. Any headlamp will do the trick probably, but these are the ones we used. You will definitely need these if you don’t finish the Moon Run before dark. Also required for the Moon Run, and also just kind of fun! Thankfully this was the one item in our pack that we didn’t need to use. Seeing as how we could have gotten extremely lost had we continued down the wrong path though, it’s worth having these along. They are also required for the marathon and ultra-marathon distances. Costa Rican sun is intense. We highly recommend having a running hat, even if you don’t normally train with one. Any lightweight hat designed for running will do. And, last but not least, don’t forget about sunscreen and sunglasses! 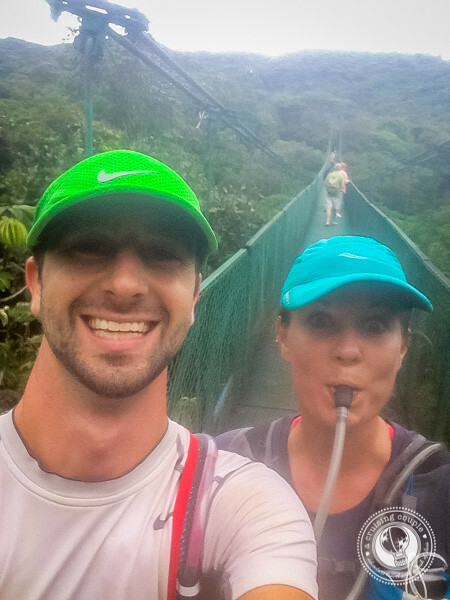 Costa Rica’s Moon Run is definitely a marathon for the bucket-list. You never know—we might even participate again in the future! If you’re running the Moon Run and have any further questions, don’t hesitate to reach out. We had a very difficult time finding detailed information prior to the race, hence our in-depth post. Have you ever ran a marathon? 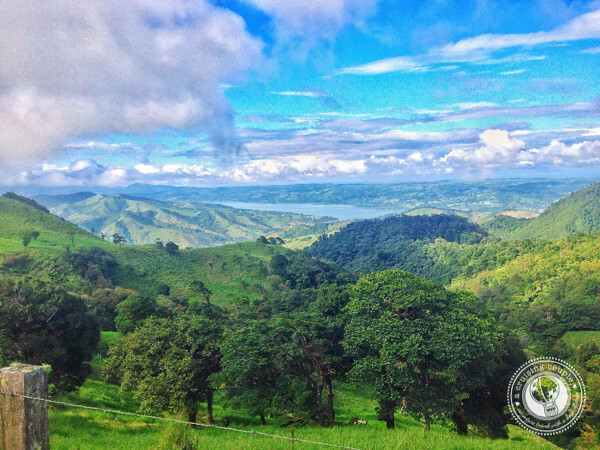 Would you run a trail marathon if you got epic views like these?